Includes a Great Chrome Steel Tuned Pipe that really helps get all the power out of this engine. Upgraded Rear CNC Aluminum Shock Tower Brace. Powerful 30.5cc 4 bolt head motor! A great cost effective way to get into gas 1/5 scale. Stock parts and aftermarket parts are available everywhere for this buggy including hobby shops, HPI, internet etc, and of course in my ebay store. With upgraded 30.5cc Engine, Nylon Suspension Arms, Tuned Pipe and HD CNC Aluminum Rear Shock Brace This makes this the best deal for a Baja that I have ever seen! 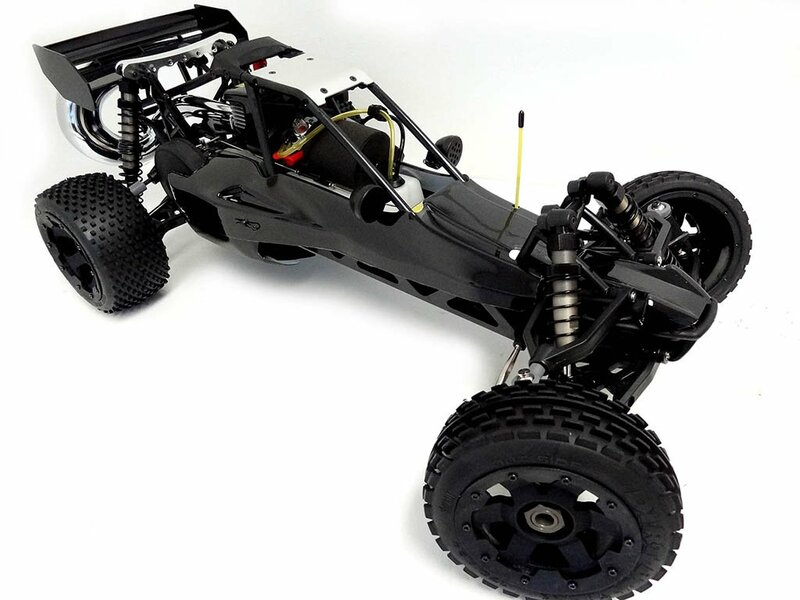 This vehicle is compatible with HPI Baja 5B, SS, 2.0 Baja buggy and King Motor Baja buggy models.